There is really no area of Brooklyn, New York that is immune to a pest infestation, and Williamsburg is no exception to that. Numerous pests ranging from cockroaches to bed bugs are rampant in all parts of New York City. The key to controlling an infestation is to remedy it as soon as possible. The bigger an infestation gets, the more difficult it will be to get rid of later. 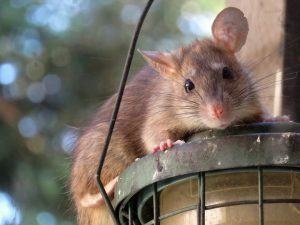 Perhaps one of the most common pests we get called in for are rats, and for a good reason. Their population across the city is massive, and continuously on the rise. This is primarily because they reproduce at such a rapid rate it makes it difficult to control them. Also, they pose a threat to not only residential places, but businesses as well can become frustrated by them, especially any restaurants and food processing services. Since they constantly crawl through garbage and filth, their bodies are littered with germs and bacteria. So, they are capable of spreading various diseases to people. Their droppings can also become toxic and harmful to us too. Get in touch with a professional rat removal expert who can effectively get rid of them for you. We use traps and other methods to get them out once and for all. Also, after we remove the ones indoors, we will locate and close-off any entry points they may have used to come in the first place. This will prevent other rats outdoors from coming in. There are a variety of stinging insects that can make a hive around your residence. The thing you need to be aware of about these pests is that even though some are harmless others a down-right dangerous. A honeybee, for example, might be annoying but poses no real threat to anyone. On the other hand, a hornet or wasp is not only extremely aggressive, but they will almost certainly attack you, multiple times even if their nest is disturbed. The problem is unless you are an expert in bees and other stinging insects you really don’t know what type you’re dealing with. A professional is not only knowledgable in identifying them, but also removing bees and their hives from the premises. They have the skills and tools to do so, and the proper safety equipment too. 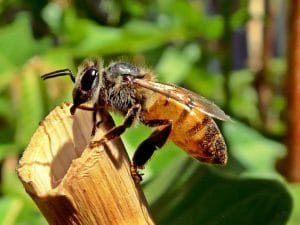 Besides the pain and swelling that comes with getting stung by a bee, if you are allergic to them, it could potentially be life-threatening or in worse cases even fatal. The thing about these pests is the way that they all swarm an entire area because of their large numbers. 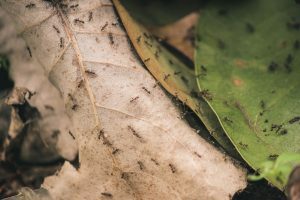 One single ant colony could contain thousands of ants. They constantly search for food, water, and shelter. But no matter how clean you try to keep your home ants can sometimes still find their way in, especially during the summer months. You may be able to kill the ones you see indoors, but they can quickly be replaced with the thousand or so more that are outside waiting to come in. To get rid of them at the source turn to an ant control expert who can take out the entire colony. Afterwards they will seal off any cracks or gaps in your walls that the ants may have used to enter your home in the first place. Another notorious NYC pest is the cockroach. A centuries old pest that still causes problems. The humid climate in New York is a paradise for them, but even moisture in your home could draw them in. If you have any leaky pipes or faucets around your house and causing water puddles to build-up, this could attract them. Also, make sure your home is free of clutter or trash. They are scavengers constantly going through garbage for any leftover food particles. Cockroaches are nocturnal, so you typically don’t see them during the day. But it’s common to turn the lights on at night and see a couple scurry away to hide. If you see this, you’re likely to have more roaches hiding somewhere in your home. They don’t infest in pairs, but instead large numbers. 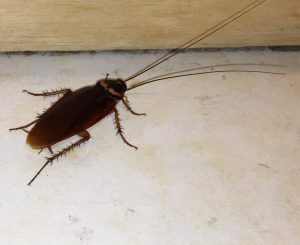 A professional cockroach exterminator will be able to root them out and eliminate them from your home. Leaving roaches to linger around your home for too long could lead to serious health problems. Perhaps the most notorious pest that everyone fears having in there home are bed bugs. The most unnerving aspect of them is how easy it is to get them, and the fact that you can pick them up from almost anywhere. 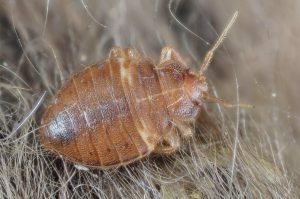 Whether it’s a hotel room, a taxi cab, a movie theater, a gym locker or even someone else’s house who already have bed bugs, you can have one hitch a ride onto your clothes, and then unknowingly bring them into your home. It really is that frightening easy. One sign that you may have a bed bug infestation is if you wake up in the morning with itchy, red welts all over your body. These bites are the result of bed bugs feeding on your blood throughout the night. These blood meals are what allows them to reproduce so rapidly. So, call a bed bug exterminator at the first signs of bed bug bites. The more they feed the faster they will multiply, and spread to other parts of your home. It’s hard enough to detect bed bugs on your own and getting rid of them by yourself is nearly impossible. If you have a pest problem on your hand, don’t try to solve it yourself. Rely on the pest control services of Bugged Out Pest Management. Our expert professionals will work with you to put together a customized plan tailored to your specific needs. We will address any of your questions, concerns, and budget. Contact us today for a consultation.